152 West 2nd Street – Pioneer William B. Hutchens; frame/adobe farm house 1867, rear adobe granary 1868. YESTERDAY: Hutchens/Reno House; photo 1986 Ogden Call Survey. TODAY: Hutchens/Reno House; photo 2007. YESTERDAY: Wm. 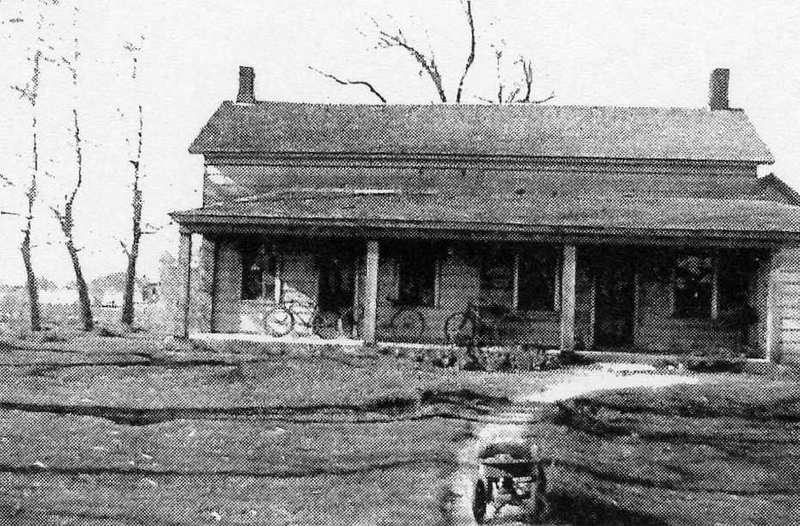 B. Hutchens built this house in 1867; owned by Reno family since 1912.; photo c. 1930. The house was built in 1867, a double-cell with exterior walls of adobe. Originally the adobe house had two square rooms arranged next to each other with two front doors and four windows arranged symmetrically on the front facade; this is classified as a double-cell house type (see 1930 photo). The house was one and a half stories tall with end wall chimneys and small second level gable windows on either side of the chimneys. The second door on the front was not developed in Utah for polygamy but was a common American form of house in the South that provided a separate entrance to the parlor. 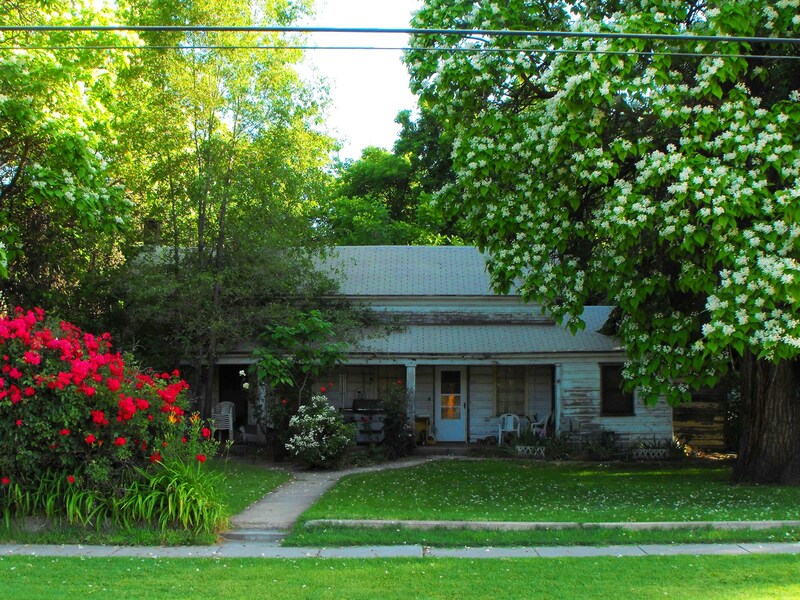 In the early 1870s William Hutchens built a saw mill north west of his house for the purpose of making lumber to cover the outer adobe walls with board that he painted white. In addition to covering the adobe with board, he built a third room on the east side and a long front porch reminiscent of the three porches on his father’s old mansion in South Carolina. 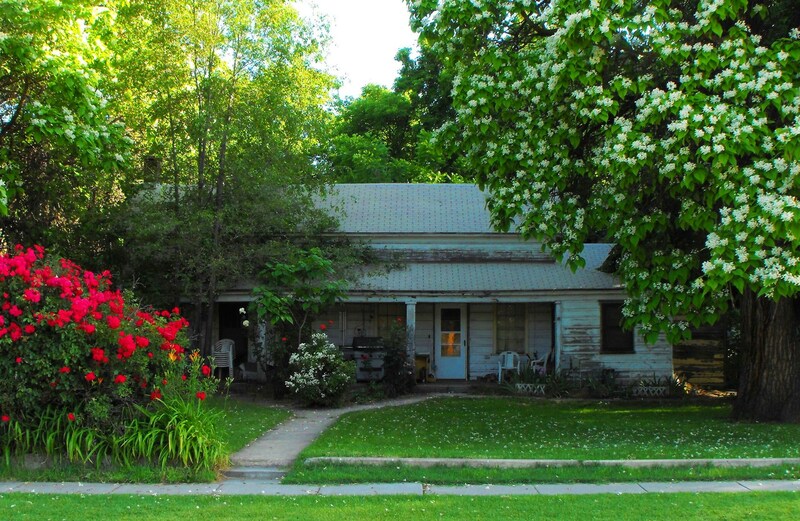 The appearance was unique and stylish in Weber County, and the house evidenced craftsmanship and the cultural background of the South. In 1885 a mother-in-law room was attached to the rear filling the space between the house and the granary. Mary said, “The men who built the house. The plaster is just full of red and white and black hairs. See, we brought some to show you.” And Mary and Mel showed some of the hair they had collected. The girls were glad they had found out before they had said anything about it to their playmates. It took all day to clean the house and the next day their father moved the household goods, and that night they couldn’t sleep for looking at the walls and thinking what a lovely house it was and what clean smooth nice walls it had. On the ceiling was the mark of a switch- just like someone had hit the ceiling while it was yet soft. The children thought that was wonderful too. William B. Hutchens was born 1828 in Spartanburg, South Carolina, the son of a wealthy plantation owner. He met Mormon missionaries at the age of 14 and was converted and baptized with his family in 1842. In 1844 he and his sister left their father’s plantation, his father supplying William with a wagon and all manner of tools and implements; they arrived in Nauvoo on June 28 1844, the day after the martyrdom of Joseph Smith and his brother Hyrum. 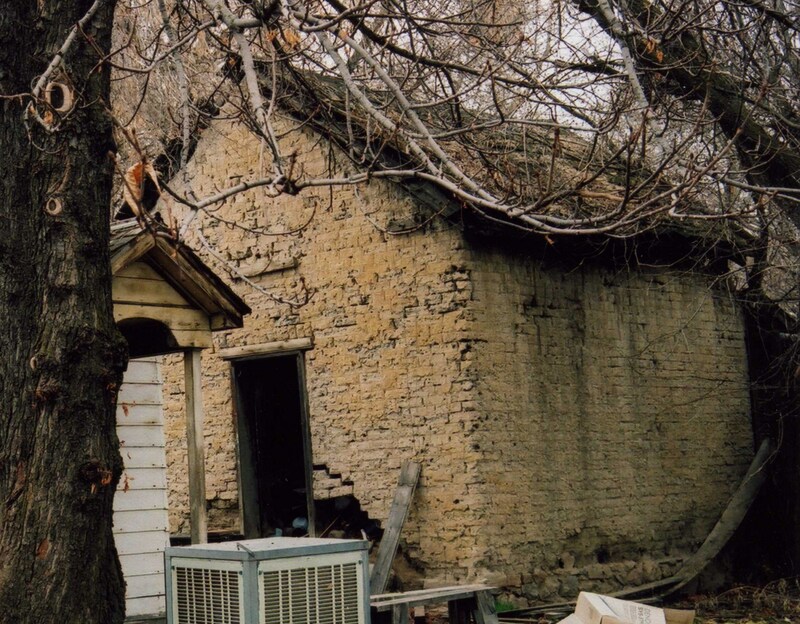 William and his sister immigrated to Salt Lake in 1848 where William helped prepare land for the temple, worked on building other public structures, and taught the art of making charcoal. He accompanied Orson Hyde in establishing a settlement in Green River, Utah. William and Eliza’s first child was born in Bingham’s Fort. Over the next thirteen years the Hutchens built several homes in Bingham’s Fort District. Because of the memory of his childhood mansion in South Carolina, William was determined to always build the best house he could. The first homes he built were white cabins made of peeled logs. There were only a very few houses made of peeled logs. The logs also had to be straight as he couldn’t live in a house of crooked logs or one whose logs were not chinked together properly. Eliza came from a wealthy family in England, and she kept their home meticulously. One day when she had finished cleaning the house an Indian came in uninvited and sat on her bed. The children were not allowed to touch the beds in the daytime, least of all their mother’s bed. When the children told Eliza about the Indian she rushed into the house, picked up a broom and told the Indian to get out of there or she would hit him. Evidently he understood as he got up and left quickly while talking back to her, but they could not understand his words. After this incident the Indians referred to Eliza as “Fighting Squaw” but called William “Brother” because he was always so kind and patient with them. 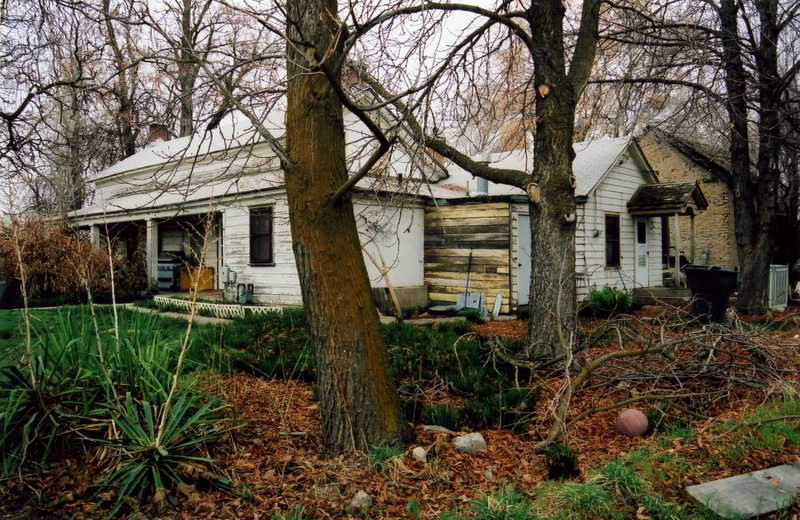 In the 1860s the population in Weber County was rapidly increasing and home builders considered it a choice place to settle. William set up a tent by his house for new immigrants to use until they could establish a house of their own. If the school was not in session new settlers were also allowed to stay temporarily in the schoolhouse. William Hutchens was always a friend to the Indians, learned their language and planted every third row in his garden for his Indian brothers. The following Indian incident happened about 1870 when they were living in their final house at 152 West 2nd Street, “back in the Fort”. He said he would, so her father passed them and then told Jack to eat whatever he wished. Jack helped himself to a plateful of potatoes and gravy and then took the molasses pitcher and covered the whole plateful with molasses and then ate it all with great relish. He finished long before the rest of the family, as her father was talking to Jack all the time, and the children couldn’t eat much for watching Jack gobble his up. When Jack was finished he turned to John and told him he could come and eat now, and then he walked out of the door and went away. Deseret News, July 30-31, 1998. In 1869 the Great Highway across the continent (railroad) constructed its way from the east and from the west towards a meeting place in Utah. In the late 1860s William had a contract to build a long stretch of track across “the Meadows”, as the Business Depot of Ogden was then called. The adobe granary in the rear of the Hutchens’ house was built in 1868 and later served as the pay station for the local men working on the railroad grade. On payday the workers lined up on 2nd Street to receive their pay from the granary behind the Hutchens’ house. Her father had charge of a long stretch of track across the meadows. Sometimes after school the children use to go down and watch the men work, because they were the men from the valley and a lot from their own vicinity. They used horses and scrapers. They scraped the soil from the sides of the right-of-way and made a high embankment for the track. Having charge of the work, her father of course would have charge of the payroll and she remembers that on several occasions he brought home all he could carry of money in a bag to pay the men. It was mostly silver. 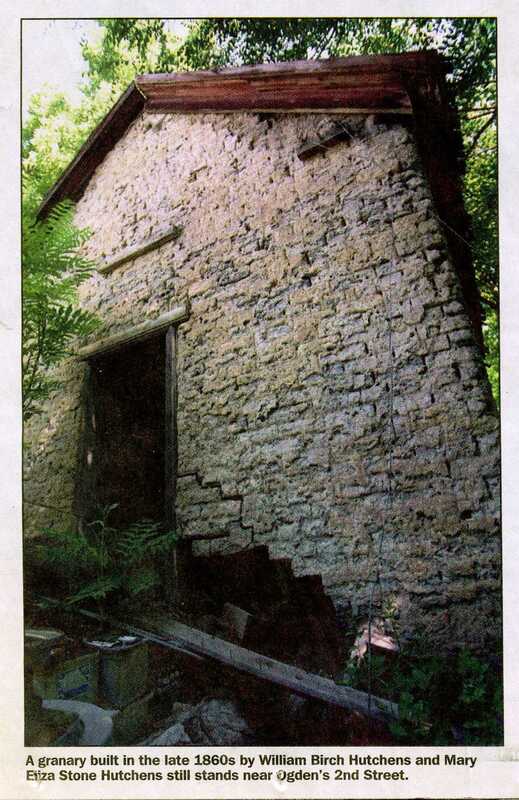 1869 William Hutchens’ granary served as a pay station for workers on the railroad bed; photo 2007. William served as first counselor to Bishop Daniel Thomas of the Lynne Ward from 1876-1885. Since the Hutchens home was next to the schoolhouse which served as the church, the visiting authorities of the church were entertained in the Hutchens home. President John Taylor, third president of the Church of Jesus Christ of Latter-day Saints, was one of those who visited here. John Smith, the son of Hyrum Smith, was the second patriarch of the church; he stayed at the Hutchens home several times giving patriarchal blessings to the members of the community. 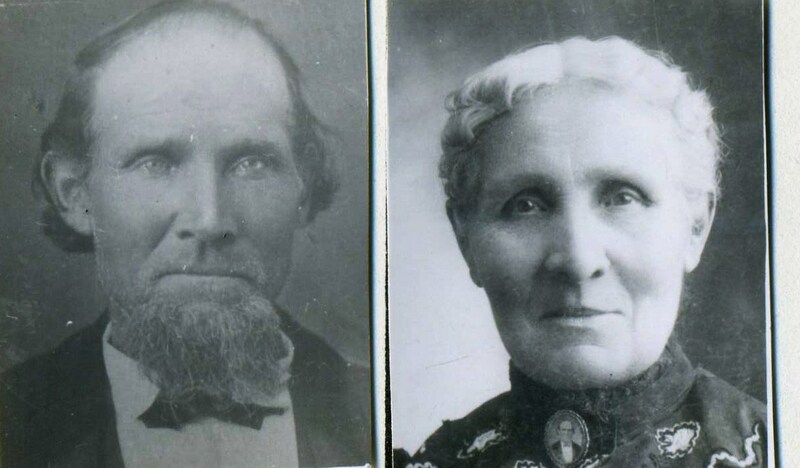 William and Eliza Hutchens had eleven children. An extra room on the rear east side was added in 1885 for Eliza’s mother, Mary Cruse Stone. William was a farmer, a business man, a carpenter, a school trustee, an alderman in Ogden City government and a counselor in the Lynne Ward. Fred N. Stone wrote that William Hutchens was “identified with all the business and building of the Ward from the first settlement” and that he “was a humble, God-fearing man of the truest type.” He died in 1885 and Eliza in 1905. Four of the Hutchens children continued to live in the Bingham Fort area. They were Mary Elizabeth Hutchens (Peter Sherner), Harriet Hutchens (Squire Green Crowley), John Hutchens (Lois Brown), and Esther Hutchens (Fred Stone). The home of Mary Elizabeth and Peter Sherner remains at 122 2nd Street. 103 years ago, in 1912, Victor Reno Jr. purchased the William Hutchens house, and it still remains in the Reno family in 2015. 152 West 2nd Street; photo 2011. 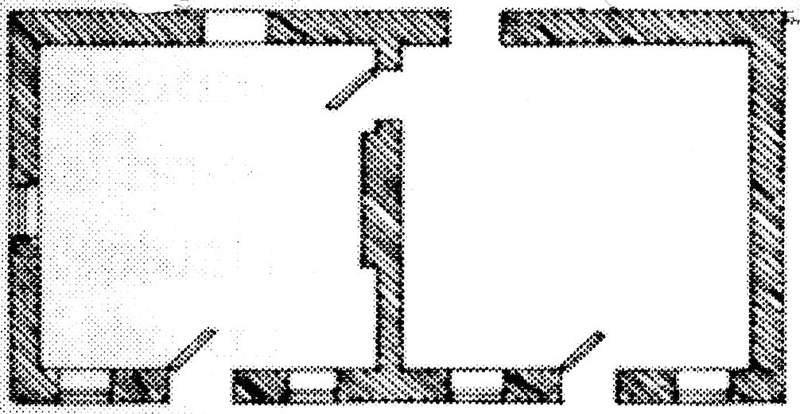 Thomas Carter and Peter Goss, Utah’s Historic Architecture, 1847-1940, p.18. Dorothy Amelda Sherner and Laura Sherner Welker, Mary Elizabeth-Her Stories, manuscript, 1933, p. 19, 38, 39. Lucile Parry Peterson, William Birch Hutchens, manuscript. Sherner and Welker, Mary Elizabeth- Her Stories, p. 39, 86, 87. Richard Roberts and Richard Sadler, A History of Weber County, 1997, Utah State Historical Society, p. 101; Sherner and Welker, Mary Elizabeth – Her Stories, p. 41, 42. Fred N. Stone, A Reminiscent History of the Lynne Ward, manuscript, 1934, p. 3.